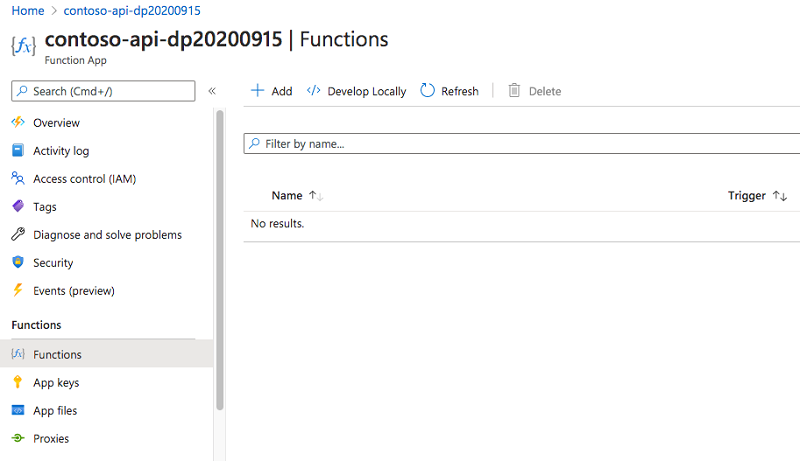 This article illustrates how you would connect to a multi-tenant enterprise API secured with Azure Active Directory from a SharePoint Framework solution. It covers both creating and securing the API as well building the SharePoint Framework solution. Start with creating a multi-tenant enterprise API secured with Azure Active Directory. 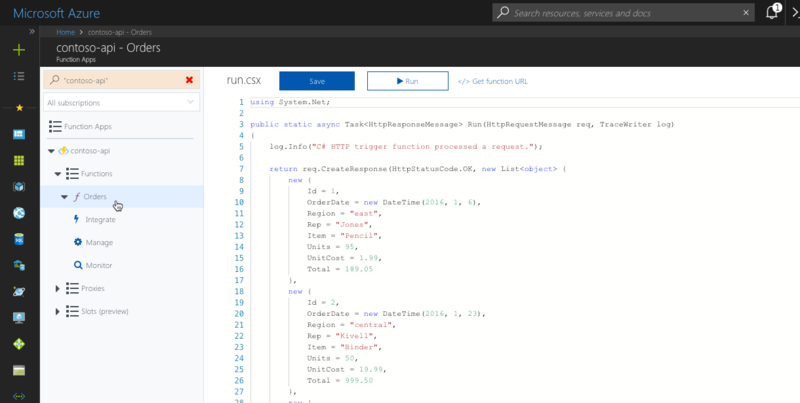 While there are no restrictions how the API should be implemented from the SharePoint Framework point of view, in this tutorial, you will build the API using Azure Functions and secure it using Azure App Service Authentication. In the Function App, create new HTTP-triggered function. In this example, you will build it using C#, but there is no restriction with regards to which programming language you can use. In the Function App, select the Create new button. Next, select on the Custom function link, to create a custom HTTP-triggered function. From the list of available function types, choose HTTP trigger. In the settings of the function, choose C# as the language, specify the function name and set the Authorization level to Anonymous. Azure functions can be secured in a number of ways. 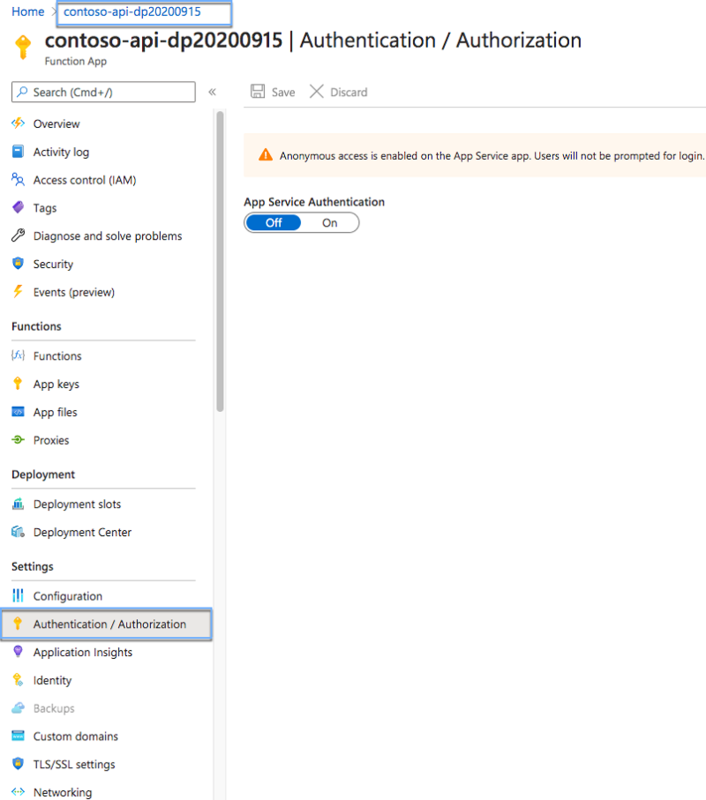 Because you want to secure the function using Azure AD, rather than securing the function itself, you will secure the underlying Function App. This is why, at this stage, you set not to secure the function itself. Authentication settings applied to the Function App, apply to all functions inside that app. To confirm your settings and create the function, select the Create button. Verify, that the function is working correctly, by selecting the Save and run button. If the function executed correctly, you should see a Status: 200 OK label and the list orders displayed in the test pane. 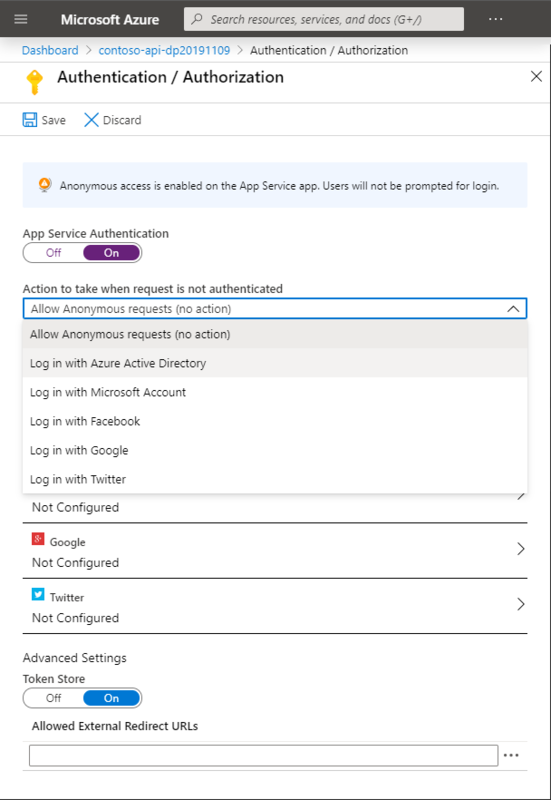 Now that the Azure function is working, the next step is for you to secure it with Azure Active Directory so that in order to access it, you need to sign in with your organizational account. On the Function App blade, from the side panel, select the function app. In the top section, switch to the Platform features tab. Next, from the Networking group, select the Authentication / Authorization link. On the Authentication / Authorization blade, enable App Service Authentication by switching the App Service Authentication toggle button to On. 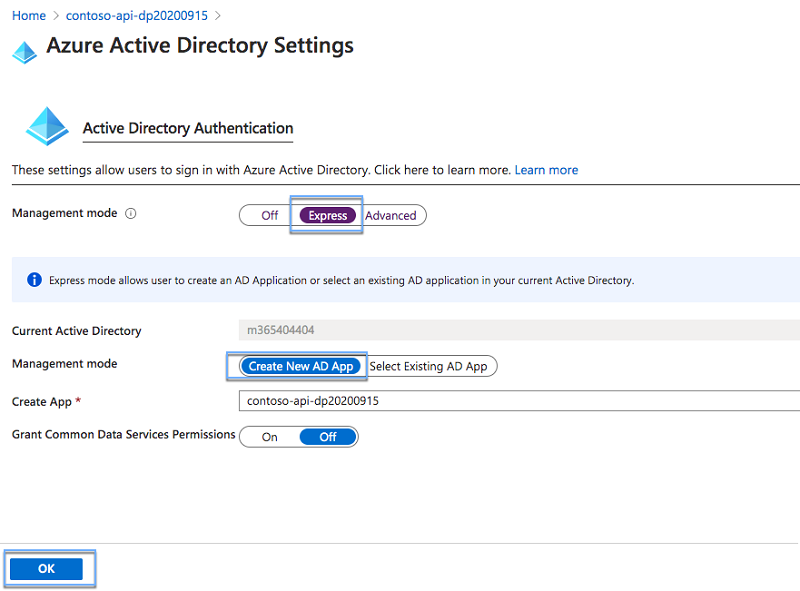 In the Action to take when request not authenticated drop down, change the value to Login with Azure Active Directory. This setting ensures that anonymous requests to the API are not allowed. Next, in the list of authentication providers select Azure Active Directory. On the Azure Active Directory Settings blade, for the first Management mode option, choose Express. For the second Management mode option, choose Create new AD App. Before you continue, note the value in the Create App field. This value represents the name of the Azure AD application that you will use to secure the API, and which you will need later, to request permissions to access the API from the SharePoint Framework project. Confirm your selection, by selecting the OK button. Update Function App authentication and authorization settings, by selecting the Save button. Confirm, that the API is correctly secured, by opening a new browser window in private mode and navigating to the API. If the authentication settings have been applied correctly, you should be redirected to the Azure AD login page. 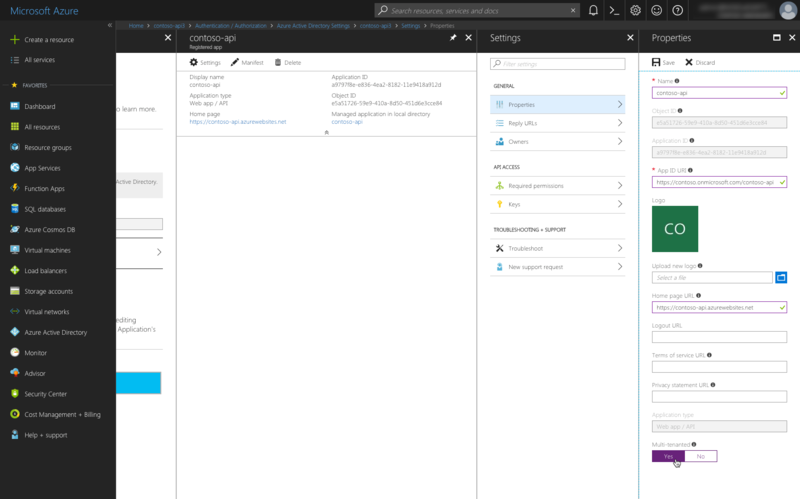 By default, when you secure an Azure Function using an Azure AD application, that Azure Function can be used only by users from the same Azure AD as where the application is located. 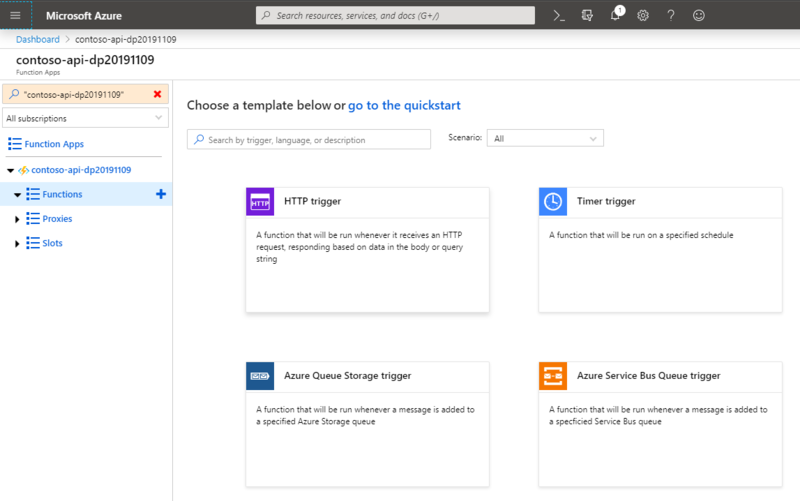 If you would like to use the API in different tenants, you have to change the Azure AD application to multi-tenant. In the Function App, navigate to the Authentication settings. From the list of authentication providers, select Azure Active Directory. On the Azure Active Directory Settings blade, choose the Manage Application button. On the Azure AD application blade, from the toolbar, select the Settings button. On the Settings blade, from the General group, select the Properties option. 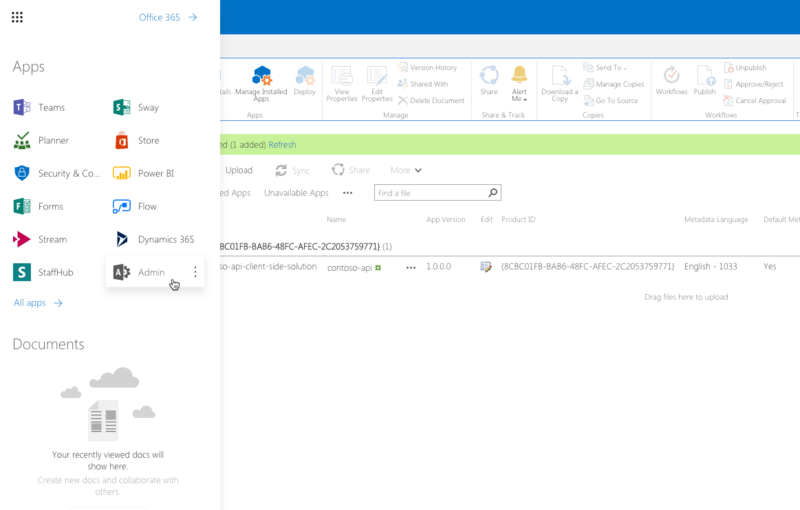 On the Properties blade, in the App ID URI field, change the ID of your Azure AD app, so that it begins with https://yourtenant.onmicrosoft.com, eg. 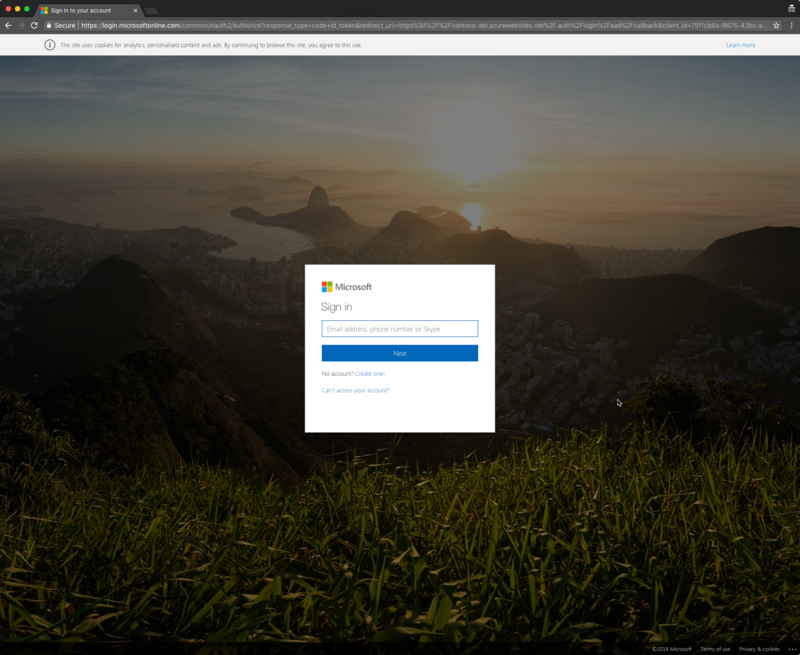 https://contoso.onmicrosoft.com/contoso-api. This change is required, because your Azure AD app will be used by other tenants, and it will be necessary to ensure its uniqueness across all Azure Active Directories. Finally, confirm your changes by from the toolbar selecting the Save button. Because you secured your API using the Azure AD express settings, only users from the same Azure AD, as where the application is located, are allowed to use it. Because you want the API to be used by users from other tenants as well, you have to adjust the security settings. Close all open blades, until you are back on the Authentication / Authorization blade. From the list of authentication providers, choose Azure Active Directory. On the Azure Active Directory Settings blade, switch the value of the Management mode option to Advanced. Next, clear the value in the Issuer Url field. This will allow users from other Azure Active Directories to authenticate against your API. Before confirming your changes, copy the value from the Client ID field. You will need it when building your web part, to request an access token for the API. Confirm your changes using the OK button. From the API group, select the CORS link. 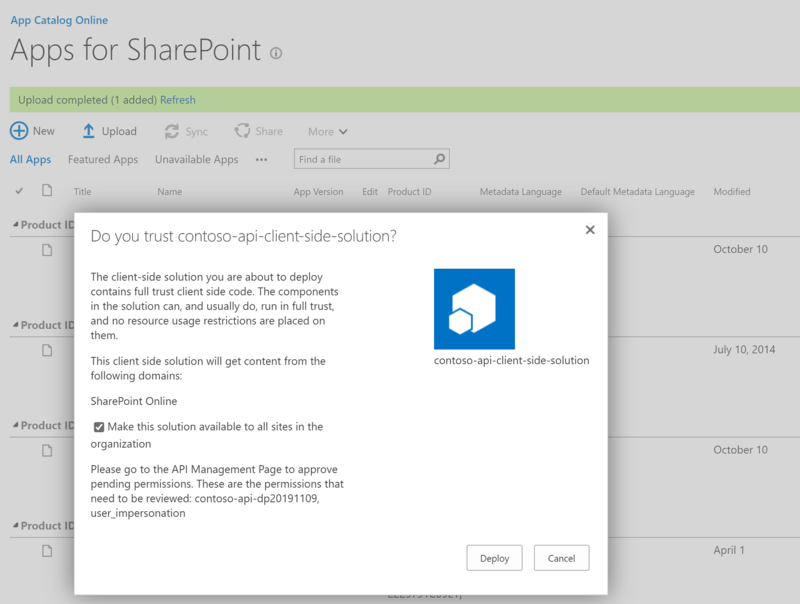 To the list of allowed origins, add the URL of your SharePoint tenant, eg. https://contoso.sharepoint.com. Confirm your changes using the Save button. Before users in your tenant will be able to use the API from another tenant, the API has to be approved. The approval, also known as consent, can be done on two levels: user and admin (organization). In this scenario, you will use the admin consent to approve the API for use by the whole organization. Usually, the site exposing the API takes your through the process of consenting the API in your tenant. In this example, you will perform the necessary steps manually to better understand how the process works. On the Function App blade, select your function. To get the function's URL, from the toolbar, select the Get function URL option. In the Get function URL dialog, copy the URL of the function using the Copy button. In a new browser window, navigate to the function URL you have just copied. When prompted to sign in, use the admin account from the Office 365 tenant, where you want to use the API. After signing in, you will be prompted to consent with the use of this API. This is however the user consent. To switch to the admin consent and approve the API for use by the whole organization, append to the URL &prompt=admin_consent. Once again, you will be prompted with a consent dialog, but notice, that this time, the dialog states that the app will have access to the specified resources for all users in your organization and that no one else will be prompted. Confirm that you want users in your organization to use the API, by selecting the Accept button. 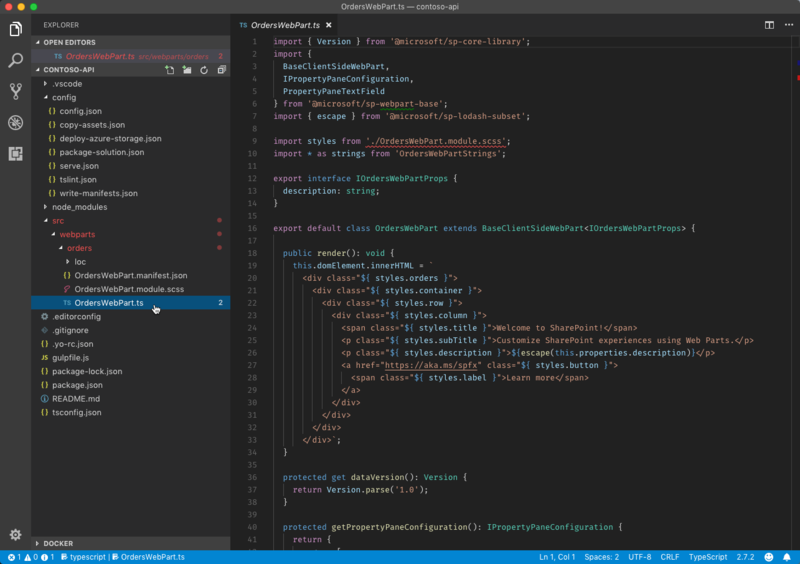 With the API configured and working, the next step is to build the SharePoint Framework solution that will consume this API. After the project is created, open it in the code editor. 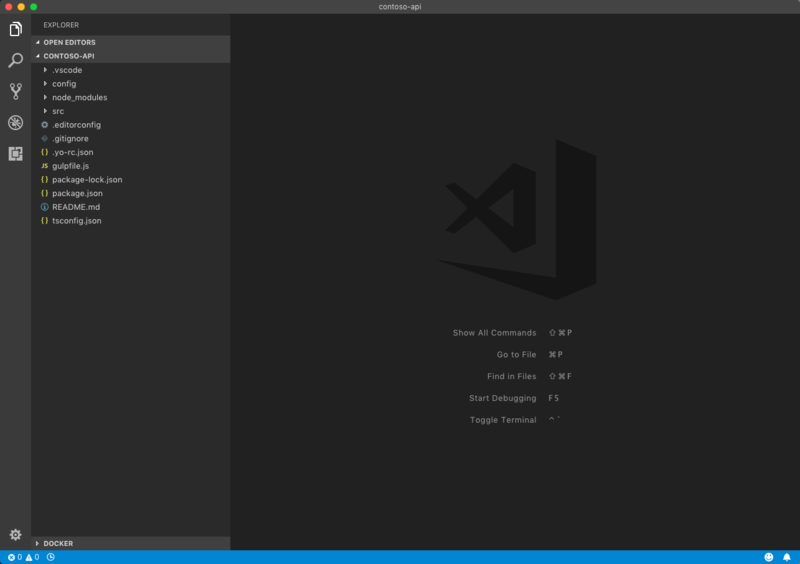 In this tutorial you will use Visual Studio Code. 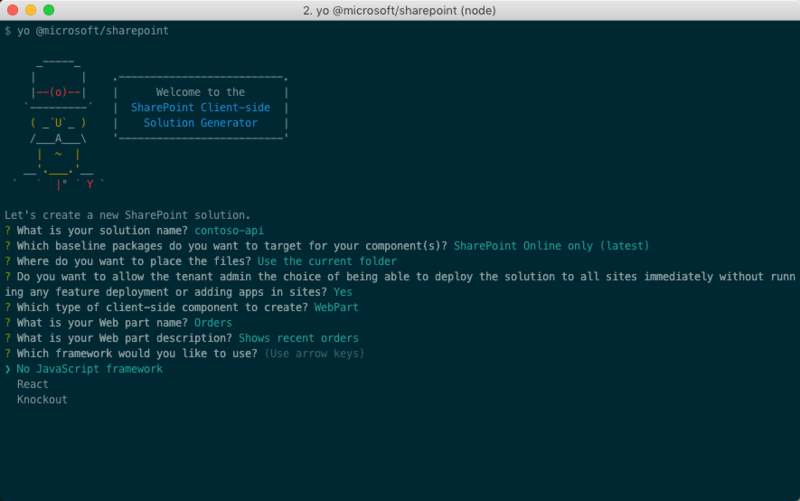 By default, SharePoint Framework has no access to enterprise APIs, even though they are registered in the same Azure Active Directory as Office 365. 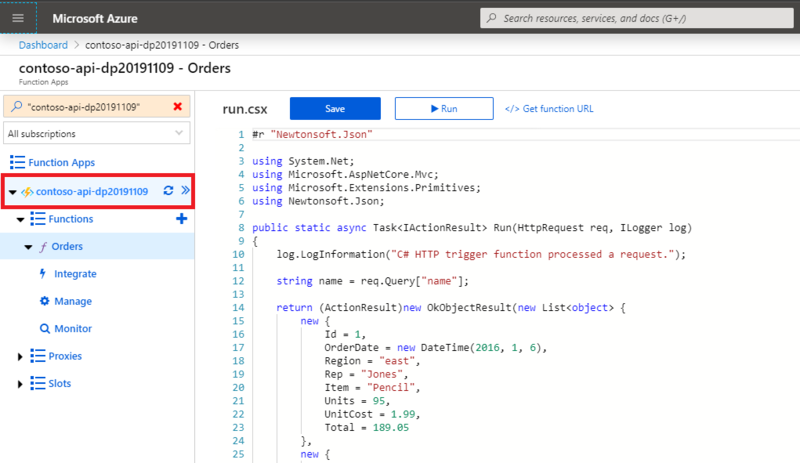 This is by design and allows organizations to consciously choose which APIs should be exposed to scripts and client-side solutions deployed to SharePoint. 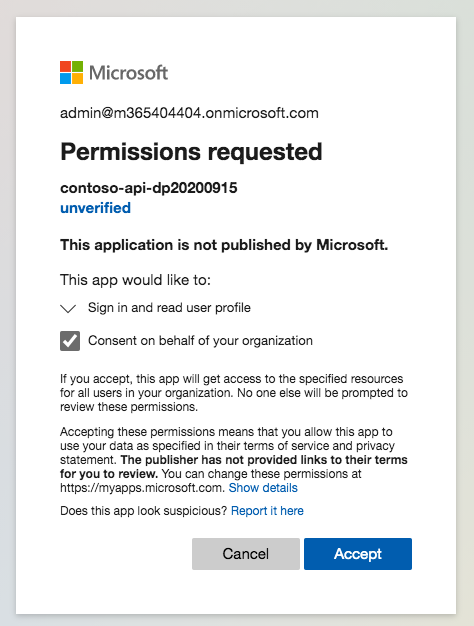 To get access to your enterprise APIs, you need to issue a permission request from the SharePoint Framework project that you're building. 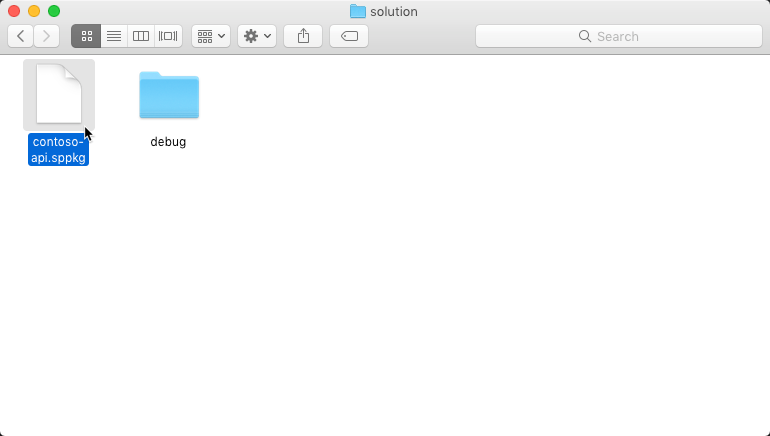 In the code editor, open the config/package-solution.json file. 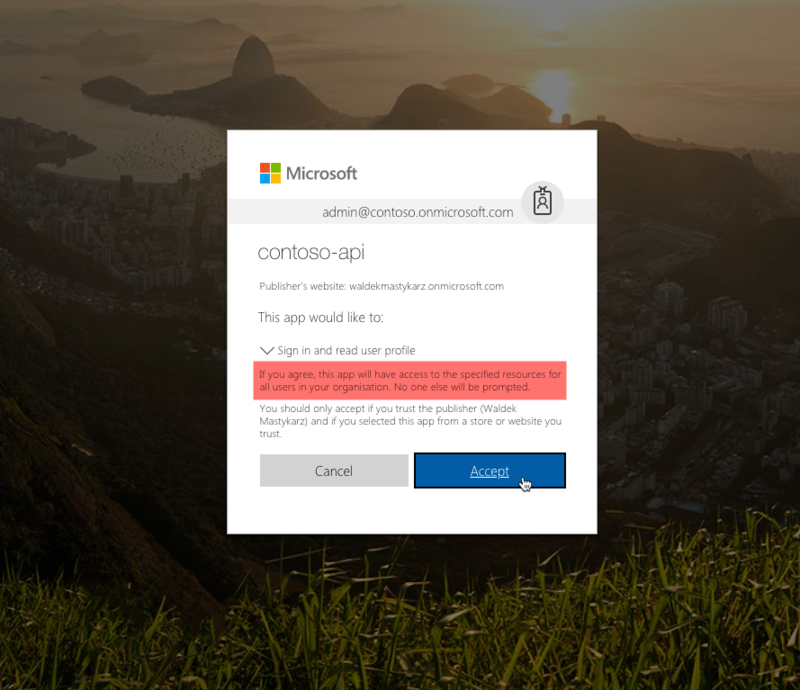 If you want to connect to an enterprise API that has been created previously, contact your administrator to provide you with details for the Azure AD application used to secure it. You will need information such as the application ID, permissions the application exposes and the audience it's configured to. In the code editor, open the src\webparts\orders\OrdersWebPart.ts file. 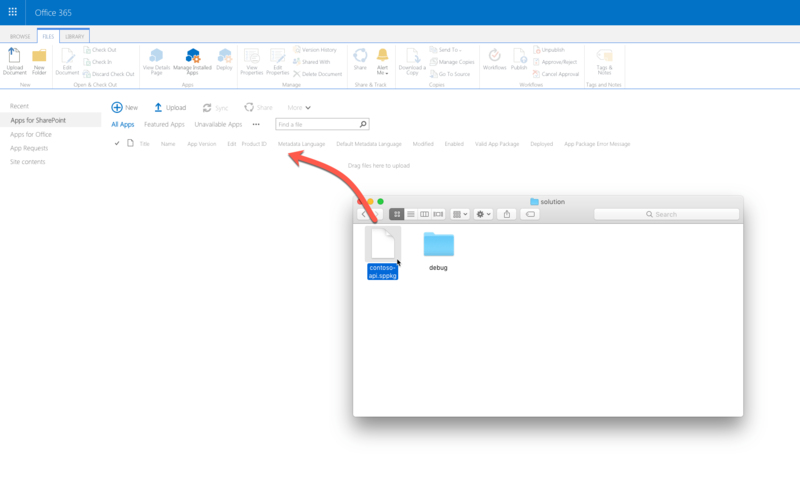 Next, in the explorer, open the project folder and navigate to the sharepoint/solution folder. 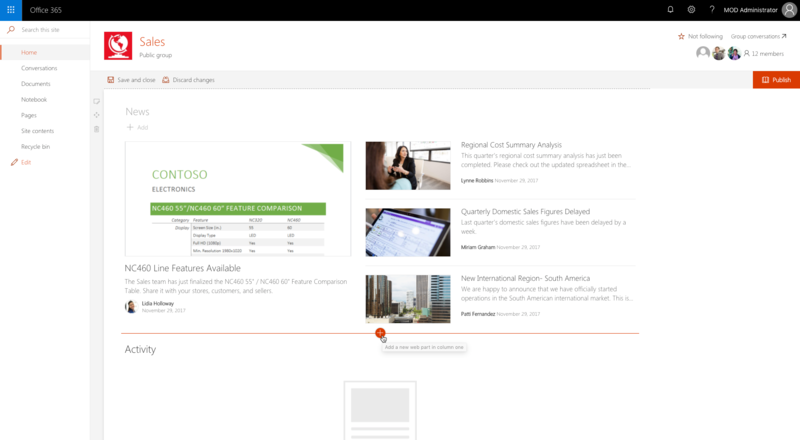 In your web browser, navigate to the tenant app catalog in your Office 365 tenant. Add the newly generated .sppkg file by dragging and dropping it from explorer to the tenant app catalog. When prompted, select the Make this solution available to all sites in the organization checkbox. Also, take note of the remark, that you should go to the Service Principal Permissions Management Page to approve pending permission requests. Confirm the deployment by selecting the Deploy button. 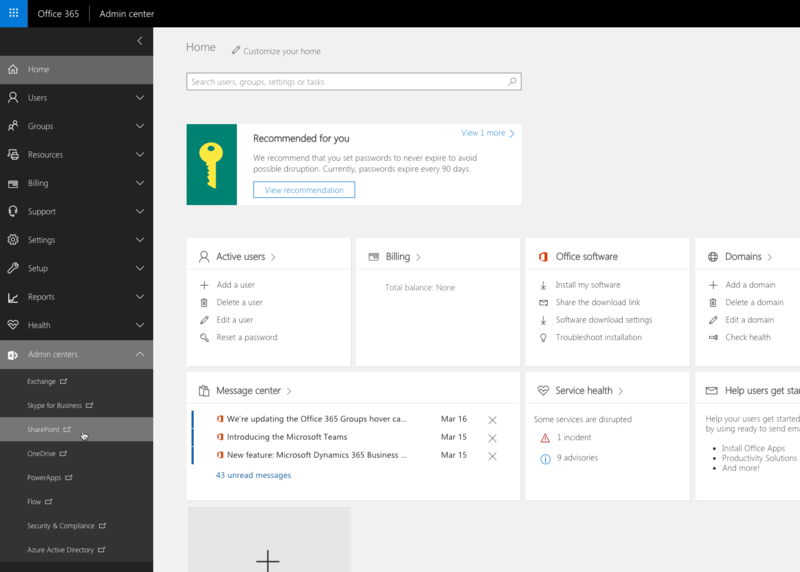 In the web browser, navigate to the tenant admin site by choosing from the Office 365 app launcher, the Admin option. 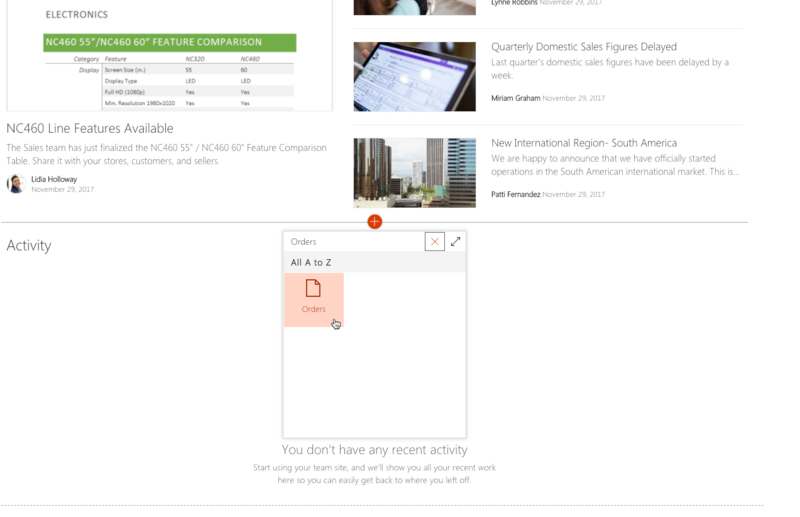 In the menu, from the Admin centers group, choose SharePoint. 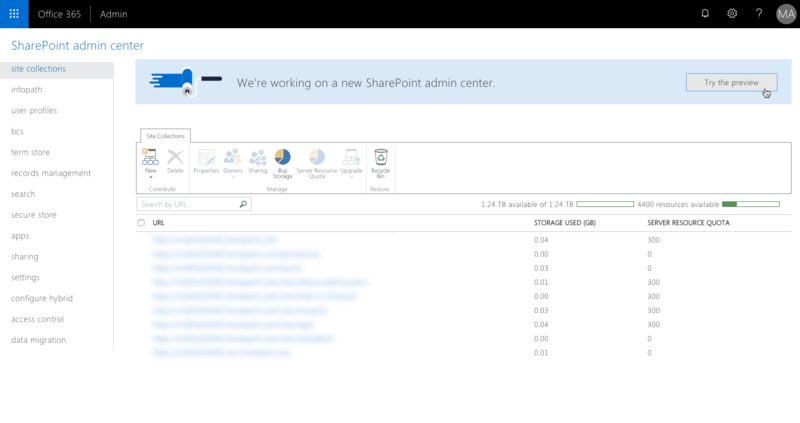 In the SharePoint admin center, navigating to the new SharePoint admin center preview using the Try the new SharePoint admin center preview link. 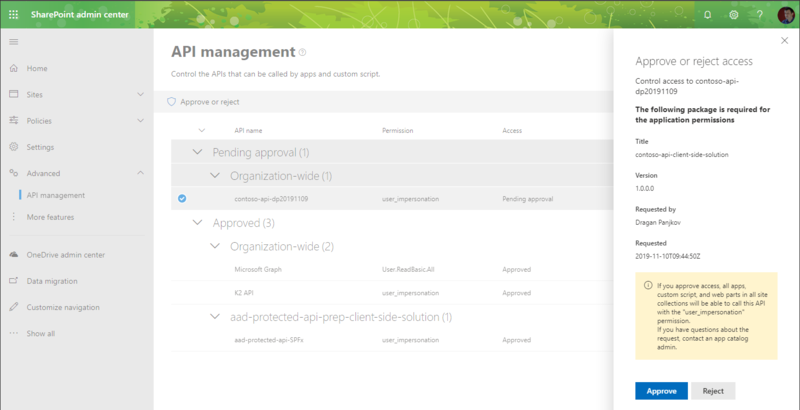 In the new admin center, from the menu, choose the API management option. On the API management page, in the Pending approval group, select the newly added permission request to access the contoso-api API. Next, from the toolbar, select the Approve or reject option. In the side panel, grant the access to the API by selecting the Approve button. To verify that everything is working as expected, add the previously created Orders web part to the page. In the web browser, navigate to a site in your tenant. From the toolbar, select the Edit option. In the canvas, select a section to add the web part to. Select the + option to open the toolbox. In the search box type Orders to quickly find the Orders web part. 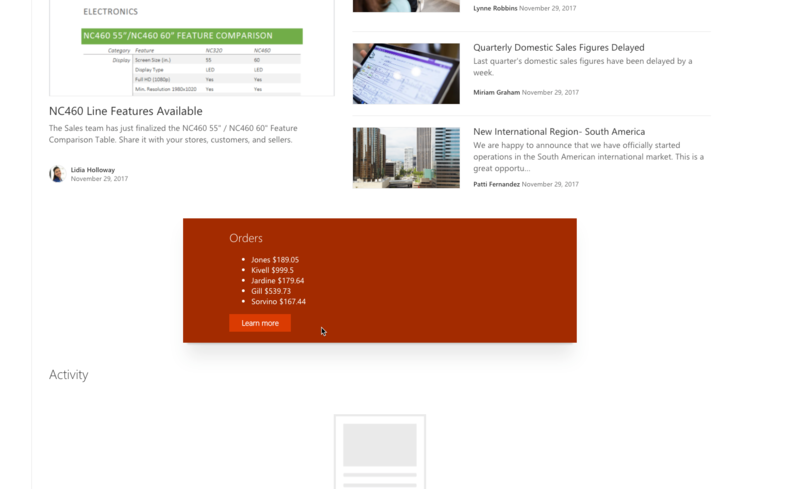 Select the Orders web part to add it to the page. You should see the list of orders retrieved from the enterprise API.